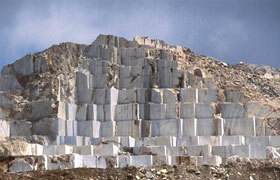 A beautiful, metamorphic rock, marble is found in the mountainous regions of most countries of the world. Marble is formed from the re-crystallization of limestone under high pressure and extreme temperatures within the Earth. Other minerals are introduced to the structure during the formation process which produces the beautiful colors and veining that characterize this rock. Marble comes in a variety of colors ranging from white to black as well as yellow, red and green. Add in the different types of finishes, such as polished, honed, and leathered, the possibilities are endless! 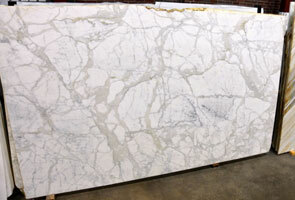 Check out our showroom and find the perfect Atlanta marble countertops for your home! With its inherent warmth, our marble countertops add a sophisticated element to the area in which they are installed. Due to the natural characteristics of these stones, marble countertops require some special care and maintenance. Because marble consists of calcite crystal, it is vulnerable to attack by mild acids, including those commonly found in kitchen and bar settings. Polished marble is especially susceptible to acids, and any spills must be immediately cleaned. Your marble countertops will be sealed after installation and a sealer should be applied annually. With any marble, there is always a possibility of staining and scratching, as the stone is not as hard as a granite surface. After regular use, your marble countertop will develop its own unique patina and personality. If you have any questions, please feel free to give us a call. As your marble Atlanta experts, we are here to assist you with all your needs. 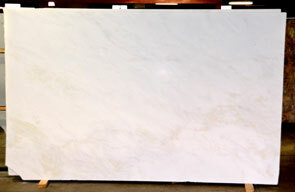 Marble Countertops Atlanta - Marble is perfect to use in homes, offices and other buildings. Commony used as bathroom and kitchen countertops, Bottega has the marble slabs you need for your project. Contact us today!